View of antenna array at Sura site. The Sura Ionospheric Heating Facility, located near the small town of Vasilsursk about 100 km eastward from Nizhniy Novgorod in Russia, is a laboratory for ionosphere research. Sura is capable of radiating about 190 MW, effective radiated power (ERP) on short waves. This facility is operated by the radiophysical research institute NIRFI in Nizhny Novgorod. The Sura facility was commissioned in 1981. At the beginning, Soviet Defense Department mostly footed the bill. 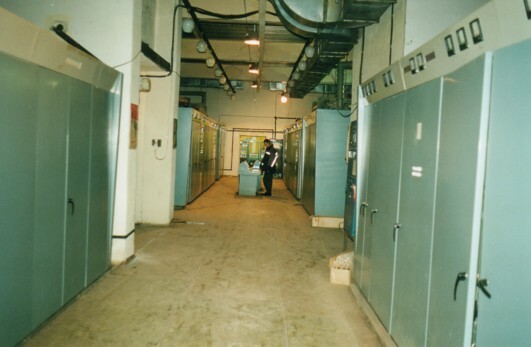 The American HAARP ionospheric heater is similar to the Sura facility. The HAARP project began in 1993. The frequency range of the heating facility is from 4.5 to 9.3 MHz. The facility consists of three 250 kW broadcasting transmitters and a 144 crossed dipole antenna-array with dimensions of 300 m x 300 m.
At the middle of the operating frequency range (4.5 – 9.3 MHz) a maximum zenith gain of about 260 (~24 dB) is reached, the ERP of the facility is 190 MW (~83 dbW). High-Latitude Artificial Aurora from EISCAT - An Unique Phenomenon? Mr. Stevens claims that Russian military specialists were behind the fury of Hurricane Katrina that devastated New Orleans. According to him, Russia has built secret equipment for causing a detrimental impact on the weather way back in the Soviet era. U.S. media quickly spread the news around. Both Russia and the U.S. were long rumored to have been involved in the development of meteorological weapon. But those rumors seemed too wild to searching a grain of truth hidden underneath. In the meantime, some Russian politicians say the experiments have been conducted and still conducted on either side of the ocean. "our scientists slightly change the earth's gravitational field." Nobody got scared watching the drunken boss of the Liberal Democratic Party promise doom's day for the United States. But once Katrina struck and the southern part of the U.S. got drowned, the improbable rumors about Russia's meteorological weapon came to light again. American meteorologists are not the only ones who blame the neighbors for using the "hurricane gun." Unconfirmed and patchy reports on questionable experiments with weather conducted by the U.S. and Soviet Union stirred up a number of political scandals in many countries of the world. Following a large-scale flooding in Europe in 2002, some European politicians put the blame on the "U.S. military" for disrupting EU economy. In 2002, Committee for Defense of the Russian Duma raised the issue about a detrimental impact on climate caused by experiments involving disturbance of the earth's ionosphere and magnetosphere. The deputies focused their attention on HAARP system that is still under construction in Alaska. 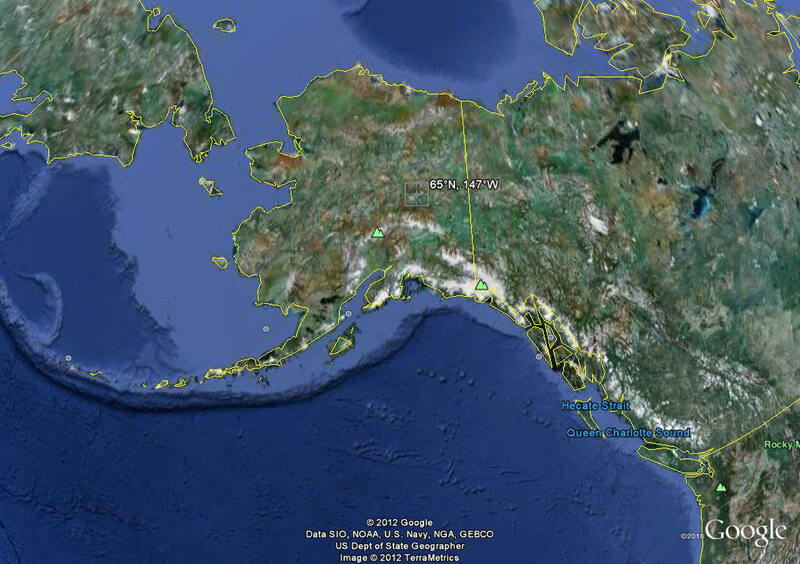 There is a special facility located at a military installation some 400 km north of Anchorage. A huge area of tundra features thousands of 25-m antennas pointing to the sky. The facility is called High Frequency Active Auroral Research Program (HAARP). U.S. Marines patrol the vicinity of the base. No commercial or military aircraft are allowed to fly over the base. Air-defense systems Patriot were installed around the base following the 9/11 terrorist attacks. U.S. Navy and U.S. Air Force combined efforts building the facility. Open information sources indicate that the facility is used for causing active influence on the earth's ionosphere and magnetosphere. The results could be fantastic, according to scientific journals. Scientific journals claim that HAARP is capable of causing artificial aurora borealis, it can also jam radar stations of early ballistic missile detection systems, communicate with submarines in the ocean and even detect secret underground complexes of the enemy. Radio-frequency emission is capable of piercing through the ground and examine hideaways and tunnels, it can burn out electronics and destroy space satellites. The equipment can also impact the atmosphere and thus cause changes in weather. HAARP is allegedly used for causing natural disasters similar to Hurricanes Katrina and Rita. Three years ago the Duma deputies held a heated discussion of issues related to HAARP. They even drew up an appeal to the President Putin and the UN. They demanded to set up an international commission for the investigation of the experiments conducted in Alaska. Speaking to Nezavisimaya Gazeta, specialist for active influence on the atmosphere of the Federal Service of Hydrometeorology and Environmental Monitoring Valery Stasenko said HAARP is a "very serious issue." "It is not for nothing that the term 'space weather' has become quite popular lately. The term stands for interrelation between the solar activity, magnetosphere and ionosphere perturbations and developments in the atmosphere. Perturbations in the magnetosphere and ionosphere can really impact climate. Using powerful equipment for deliberately bringing about perturbations, one can impact weather too, even on a global scale. I believe the deputies were right in finally raising the issue regarding the experiments in the U.S.," said Mr. Stasenko. Russian politicians are head over heels debating plans of U.S. imperialists and their bloodthirsty military, man-made disasters and floods. They are probably totally unaware that Russia has long build it own facility similar to HAARP. The facility Sura is as powerful as HAARP. It is located in Russia's central area, in a remote and desolate place some 150 km from the city of Nizhny Novgorod. One of the leading scientific research institutions of the USSR, Research Institute of Radiophysical Studies, owns the facility. "There are only three facilities like this in the world, one is in Alaska, the very HAARP, one in Norway, and one in Russia," said Nikolai Snegirev, director of the above institute. The facility was commissioned in 1981. "Using this unique facility, researchers achieved extremely interesting results regarding the ionosphere behavior. They discovered the effect of generation of low-frequency emission at the modulation of ionosphere current. At the beginning, Soviet Defense Department mostly footed the bill for similar research projects. Alas, no research like that has been conducted at the facility since the collapse of the Soviet Union. These days we are involved in the international projects for research of the ionosphere," said Mr. Snegirev. Sura looks quite seasoned and a little bit rusty. Against all odds, it still works. There are straight lines of 20-m antennas standing in an area of 9 hectares. A giant emitter the size of a country hut sits in the center of the field, the emitter is used for studying acoustic developments in the atmosphere. Researchers at the Sura can not yet conjure hurricanes similar to Katrina and Rita. At least they say they can not. However, they conduct research (on a smaller scale than in the U.S.) of interrelation between the natural disasters and perturbations in the ionosphere and magnetosphere. "It is possible to impact weather. However, neither Russians nor Americans are capable at the moment of creating something like Hurricanes Katrina or Rita. The capacity of the facilities is too low. The Americans are going to switch HAARP into its design capacity. Still, it will not be enough for effectively causing natural disasters," said Yuri Tokarev, head of department of solar and terrestrial relations of the Research Institute of Radiophysical Studies. Technologies of the secret research institutes that used too be classified and inaccessible become available to non-military researchers. One of the devices was recently tested thanks to support of the Russian Academy of Natural Sciences. "We produced lots of interesting results during the first test of the ionic generator," said Academician Mikhail Shahramanyan. "A stream of oxygen ions was going up and could either result in a local rupture of the clouds or bring out overcast sky, depending on a work mode of the device. We managed to form cumulonimbus overcast sky over Erevan in April 2004. We used two GIONK type devices when the sky was clear. According to protocols verified by independent observers, between April 15 to April 16 in Erevan precipitation totaled to 25mm-27mm," said Academician Shahramanyan. There are several radio telescopes, suitable for observation at frequencies below 100 MHz, located at different places around the world, including Australia, USA, Canada, Europe and India. Radio-astronomy measurements are restricted by the ionosphere and by man- made noise to the detriment of observations at lower frequencies, typically those below 10 MHz. The comparatively high level of radio noise emitted by the Earth at low frequencies, was observed decades ago from spacecraft such as RAE-2 launched by the United States *. In the context of a candidate lunar program, ESA has initiated a study of the feasibility of locating a radio telescope on the Moon. The advantage of a lunar sitting is the absence of ionospheric effects and terrestrial radio noise. * Kassim, N., Weiler, K., Low Frequency Astrophysics from Space, Lecture Notes in Physics, 362 Springer-Verlag, 1990. This article reports preliminary experimental work using a facility at Vasil sursk (Russia), initially intended for ionospheric research into heating of the ionosphere by high power radio transmissions. It can operate at frequencies below 10 MHz in a transmit-receive mode (radar) or in a receive-only mode. During a meeting of the Science-Team concerned with the radio telescope study mentioned above, it was suggested to transmit signals from the Vasil'sursk facility and to try to receive these with the WIND spacecraft, which had been launched by the United States National Aeronautics and Space Administration. The objective was to learn more about the effect of the medium through which the propagation path passed and the characteristics of the hardware elements involved in the link (both on ground and in space). WIND was launched on 1 November, 1994. It moves presently in an Earth orbit near to the ecliptic plane, with its apogee pointing towards the Sun. The spacecraft spins at about 20 rpm. For the Waves experiment, it carries a sensitive receiver **, which scans the radio frequency spectrum between 1.075 and 13.825 MHz using 256 channels with 20 kHz bandwidth and 50 kHz separation. A set of long dipoles samples the electric field at these frequencies along each of the three cartesian axes. The laboratory was founded in 1965 in Vasil'sursk located at latitude 56N07, longitude 46E00, about 140 km East from Nizhny Novgorod. The low frequency facility has an antenna array, comprising three sections. Figure 1 shows the system of 12 by 12 crossed dipole elements, which covers an area of 300 by 300 meters. Each of the three sections has an set of 4 by 12 elements; each section can be pointed independently. The beams may be steered manually or electrically, in steps of three degrees, to point at angles between 12 and 85 degrees. Each section has a 300-metre aperture, and its radiation pattern approximates to a sin(x)/x shape. Radiated signals are circularly polarized. A separate 250 kW transmitter is connected to each of the three antenna sections. Transmitter frequencies are stable to one part in 10(exp 7). Amplitude or phase modulation (or both together) are available, and external synchronization is possible. Emissions may be a continuous carrier or a pulsed emission whose shortest pulse is 50 milliseconds. The operating frequency range is 4.6-9.3 MHz. Table 1 and Table 2 give the parameters of one antenna section whose beam points to a zenith angle of 34 degrees (the Sun position in July) and transmitting 250 kW. Cross-ionospheric attenuation of radio waves is mainly caused by refraction at large-scale ionospheric gradients, by ionospheric absorption and by scattering due to random small-scale irregularities in electron concentration. Ionospheric scintillation modulates the signal. In the presence of high cosmic background radiation, a high effective power is needed to establish a link with the WIND spacecraft, whose receive antennas have low gain. The use of such high power can lead to induced instabilities in the ionosphere and so to a subsequent scattering from such instabilities. Several effects were expected when using a 9 MHz signal. Rays refracted by a spherical ionosphere would suffer an exit-angle which decreases with respect to the transmission direction assumed by the antenna. With a critical frequency of 5 MHz, and the scanning capabilities of the beam, the variation in angle can be as much as 10 to 15 degrees. The presence of the Earth s magnetic field complicated calculations and the co-polarized circularly polarized signal was expected to be bent Northwards (with respect to the magnetic field direction) or Southwards if the circular polarization was in the opposite sense. Large-scale irregularities, such as travelling ionospheric disturbances, would contribute to irregular diffraction, estimated at about 2 degrees. Ionospheric absorption was estimated at about 2 to 3 dB at zero zenith angle during daytime. Small scale irregularities would cause scintillation effects of typically about 1 minute duration and a scintillation index of up to 0.5 0.7 for angles up to 40 degrees from zenith. A program of transmissions from Vasil'sursk was carried out for several hours each day from 9 to 13 August, 1995. At this time, WIND was near to its apogee, at about 500 000 km from Earth. Each transmitter section emitted a different frequency: 9.025, 9.075 and 9.125 MHz. Each antenna section was pointed in a slightly different direction, spaced by about 12 degrees in the North-South plane, with the third section pointing closest towards WIND. This was done to overcome the refraction effects which have been mentioned previously and which are difficult to quantify. Transmitted signals were circularly polarized. Signals at all three transmitted frequencies were detected on board WIND, by its three linearly polarized dipole antennas. The receivers are connected to two S-antennas placed in the spin plane of the spacecraft and one Z-antenna perpendicular to the spin plane. The signals received by both antennas could be measured separately or could be summed, with or without the introduction of a 90 degree phase shift, to permit direction-finding and polarization measurements. Measured data are still being studied, but some initial results, for 9 and 11 August, can be shown. The signal amplitudes which are relative (not absolute), already give interesting results. Figure 2 shows the 9.125 MHz signals recorded by the S-receiver, in which there is no clear indication of a regular pattern. Figure 3 shows a recording taken two days later at a frequency of 9.125 MHz. The upper curve shows the output of the S-receiver and the second curve the output of the Z-antenna alone. The (relatively) well-behaved response, clearly showing the sin(x)/x pattern of the antenna at Vasil'sursk, was not observed during other days of the experiment. The curves show the data obtained. The data sequence starts at 05: 07 hrs. (universal coordinated time), and the time increment between samples is 16.128 seconds. The angle between the beam pointing direction and the path to the satellite in the azimuthal plane can be computed; one time increment corresponds to 0.0672 degrees. The total transmission time of two hours is equivalent to a change in angle of 30 degrees. A preliminary rough indication of polarization state, derived by comparing the 'S' and 'Z' responses, is given in the lower curve in Figure 3. It shows a periodic response, possibly related to sampling in combination with the fact that the spacecraft is spinning. 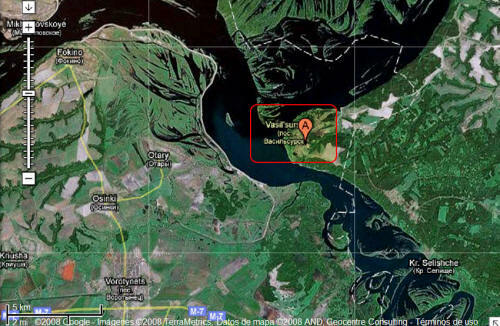 Signals transmitted from the Vasil'sursk facility in Russia have been received by the WIND spacecraft. Only on one day could the (relative) directional pattern of the ground antenna be observed. On other days ionospheric influences prevented this. Clearly further work is needed to gain a better understanding of the data and the behavior of the medium along the propagation path.